Drizzle filets with 1 tablespoon oil season both sides with sea salt and lemon pepper seasoning. Add the remaining oil to a non stick skillet and cook fish on medium high heat for 4 minutes on each sides. In a sauce pan add salsa, tomatoes, cilantro, lime, cream and a pinch salt and pepper whisk together and heat through. 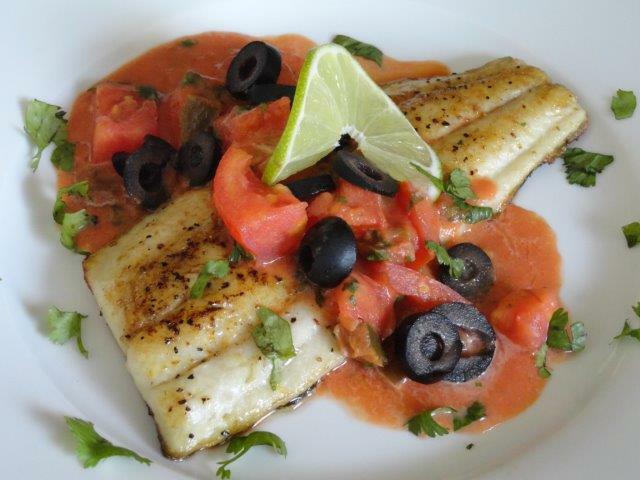 Plate filets top with salsa sauce and sprinkle with black olives. It’s a great dessert to enjoy after a fish or seafood dinner. Bon Appetit! Preheat grill on medium high. Mix whipped topping, coconut extract and lemon zest all together. 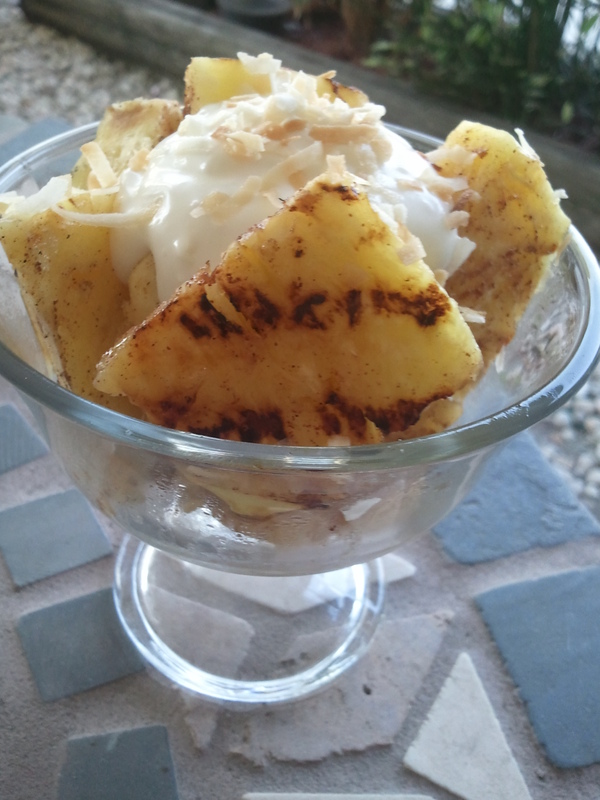 Two wedges per person top with whipped cream and toasted coconut! You can prepare the coconut ahead and place in a zip lock bag. And also prepare the whipped topping and place in a Tupperware. I take it all to the beach and after dinner grill the pineapple and top with toppings always a light but yet satisfying tropical dessert perfect to end a grilled fish dinner.